Although Holguín city is relatively humble, the wider province boasts some delightful beaches. The coastline is particularly popular for travellers seeking a tranquil beach break away from the crowds of Varadero. Holguín city doesn’t have a huge number of tourist attractions, but this gives it a charm of its own: there are few tourist touts here and you’ll be able to get a clearer view of provincial life in western Cuba. The main draw is the sleepy seaside town of Guardalavaca with its stunning beaches, Playa Esmeralda, and the more secluded Playa Pesquero. Further west from the beach resorts of Guardalavaca is Gibara, called Cuba’s best kept secret and not (yet) on the tourist trail. This idyllic seaside town sits on a beautiful bay and has a pleasant, laid-back vibe. There is a cigar factory, the impressive colonial-era Hotel Ordoño, and the Caverna de Panaderos cave system with 19 galleries and a lengthy underground trail. South of Guardalavaca is Banes, a former sugar town but now known as the archaeological capital of Cuba with a good museum on the Taino, Cuba’s indigenous people. The Chorro de Maíta archaeological site and live museum puts on dance and ritual displays of the Taíno. There’s a dolphinarium at Bahía de Naranjo but with major welfare concerns around captive marine mammals, you’re probably better off sticking to snorkeling and enjoying nature in its proper surroundings. Most of the sightseeing in Holguín city is centred around Parque Calixto García, named for a local hero of Cuba's wars of independence. Adjacent to the park you'll find Holguín's premier theatre, Teatro Comandante Eddy Suñol, an art deco beauty that frequently hosts the Ballet Nacional de Cuba and the Teatro Lírico Rodrigo Prats. It's famous for its Spanish musicals, dance performances and operettas. Make a stop at Casa de la Trova “El Guayabero” to enjoy a live serenade by guayabera-clad musicians and dancing couples in their Sunday best swaying to the rhythm of a timeless danzón. Catedral de San Isidoro, one of the city's most imposing sights, dates back to 1720 and houses a hyper-realistic sculpture of Pope John Paul II. The Mural de Origen (Origins mural) depicts the development of Cuba and Holguín throughout the ages. 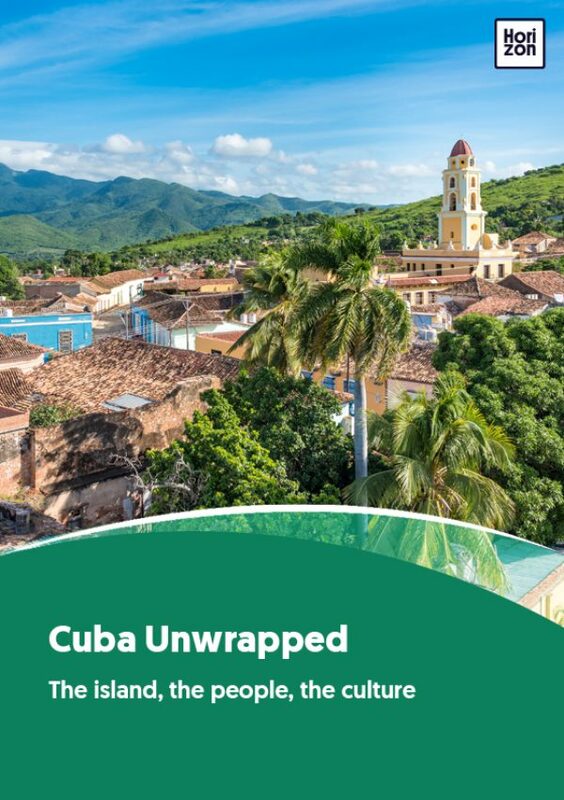 Go off the beaten track and head to nearby Birán, Fidel Castro's birthplace. The house where the leader of the Cuban Revolution was born is now a museum, but access is with prior reservation only. Holguín is Cuba's fourth largest city, after Havana, Santiago de Cuba and Camaguey. Bordering the provinces of Holguín and Guantánamo is Alejandro de Humboldt National Park, officially the most humid spot in all Cuba! Christopher Columbus first landed in 1492 in Holguín, declaring it to be “the fairest land human eyes had ever seen”. A nearby Taíno museum documents the destructive clash of civilisations that was to ensue. In April, charming Gibara hosts the Festival Internacional del Cine Pobre (Low budget film festival) which draws films and filmmakers from all over the world. Holguín is home to the large Fábrica de la Cerveceria Bucanero which brews the nation’s three most popular beers, Cristal, Bucanero and Mayabe. There is a hop on/hop off double decker bus that links all three beach areas: Guardalavaca, Playa Pesquero, and Playa Esmeralda. In addition to inland excursions, there is also a myriad of watersports and water-based excursions available.